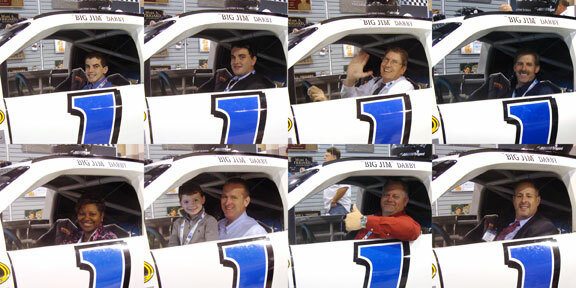 Look who we caught driving at the speed of Trigard at the 2012 NFDA Convention and Expo! See your photo? Tag it on Facebook. Plus, keep your eyes on your mailbox for your speeding ticket. We have lots of photos of all of the great drivers from this week. (Plus photos of everyone who drove into the wall or flipped the car!) Like us on Facebook to view the all the great photos. Congratulations to Kevin Smith, Mark Cournoyer and Baird Booth. 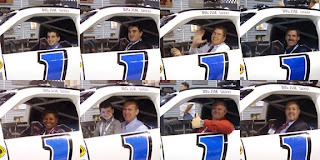 Each posted the fastest lap time of a day at the expo and took home two tickets to a NASCAR® race.